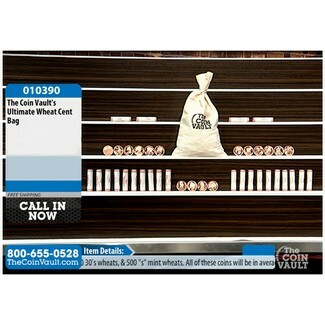 This deal includes 1,300 Common wheats, 100 Teens wheats, 100 20's wheats, 500 30's wheats, & 500 "s" mint wheats. All of these coins will be in average circulated condition. As a bonus, you will also receive 16 different coppers.